We deliver amazing value for residential contractor services throughout the Greater Houston Metro area. Call 281-789-4308 or contact us online for a free on-site estimate of your project or ideas. Whether you need a total remodel, a new roof, a home addition, or partial construction help with a current project, we can help. Started in 1997, our customers always remember us for the special attention to detail that goes into our work. Add a new space to your home by building a new room, converting a garage into a small apartment, creating an attic room, or even adding a complete new story to your home. Reliant Construction will also construct new structures, such as garages, guest houses, fitness rooms, and barns. Is your kitchen or bathroom too small or outdated? Or, would you like to convert that empty bedroom into a home theater room? Perhaps you are looking to have a complete home renovation to achieve your dream house. 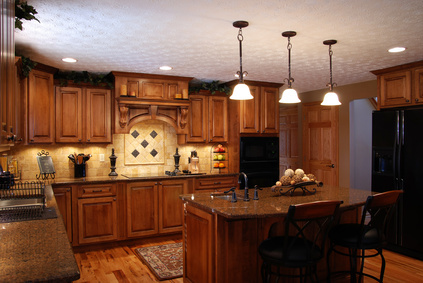 Remodeling is a great way to turn your existing space into the space you want. If your roof has been damaged or needs updating, Reliant Construction is on the job. We specialize in high quality composite roofing. You have numerous color choices and material options for any budget. We also handle roof repairs. A fresh coat of paint can bring an old room back to life. Imagine what it could do to your entire home! Our painting services encompass both the interior and exterior of your home, including your kitchen and bathroom cabinets. Would you like a texture applied to your walls? Your drywall repaired? Old wallpaper removed? Your old siding repaired, replaced, or repainted? Reliant does it all! Having properly sealed and insulated windows is especially important in the Houston area, where temperatures soar in the summer. New windows can dramatically increase the stability of the temperature in your home, and reduce your energy costs. New, updated windows can also bring new look to a home. Reliant can do any part of your project to complement your DIY skills or finish where you left off at any point in construction. Can you build a frame but prefer to hire out the drywall? Know electrical and plumbing not much about framework? You might have simply found that the project was bigger than you have time for. We can help. We are able to handle any and all stages of construction. Just let us know what you need! Call 281-789-4308 or contact us online for a free on-site estimate of your project or ideas.